Just like the ocean under the moon, the video of a noble steed clopping along to the Grammy Award-winning 1999 hit “Smooth” will flow right into your heart. As was bound to happen in the year 2k16, the Rio Olympics have been all about the meme (shoutout to the Michael Phelps Angry Face, the Laurie Hernandez Wink At The Judges, etc), and the event of dressage is no exception. 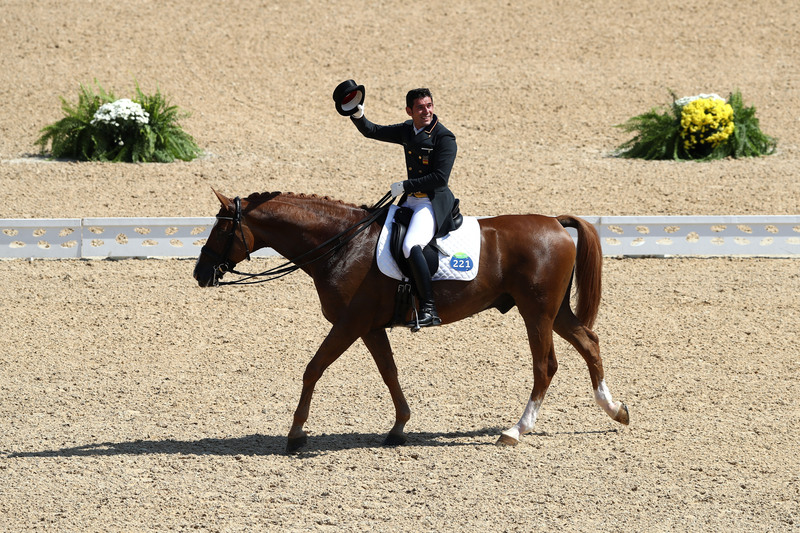 On Monday, Spain’s Severo Jesus Jurado Lopez and Lorenzo the horse galloped to “Smooth” by Santana featuring Rob Thomas in the dressage individual grand prix freestyle (h/t Billboard). Yes, a horse and a human trotted around an arena to one of the internet's favorite songs. And yes, it truly was a meme-jestic moment. The duo did not win a medal, but do you know what they did win? The love and adoration of the “Smooth”-obsessed web. Is a horse dancing to “Smooth” at the Olympics peak “Smooth” revival, or is this peak “Smooth” revival? If someone, I don't know, made an “I’D RATHER BE WATCHING AN HORSE DANCE AT THE OLYMPICS TO THE GRAMMY AWARD-WINNING 1999 HIT SMOOTH BY SANTANA FEAT. ROB THOMAS OF MATCHBOX TWENTY OFF THE MULTI-PLATINUM ALBUM SUPERNATURAL” T-shirt, I would probably pay good money for that T-shirt. Actually, no. I would definitely pay good money for that T-shirt. Let's don't forget about it.